It is not a secret to many that before being known as the “Queen Mother,” Karla had surpassed a lot of struggles in life. Karla used to enjoy a wealthy life until her grandfather, the one who provided for their family, suddenly died. This then forced her family to move from a private subdivision to the city proper in Tacloban. Despite the hardships in life, Karla remained determined to reach her dream of becoming a big star one day. She joined singing contests despite the strong disapproval of her mother, who urged her to stop from competing to avoid criticism. Karla carried on with her singing until her efforts paid off when she luckily got discovered in a music hub in Quezon City. She was then invited to join “That’s Entertainment,” unexpectedly skyrocketed to fame, and while at the top her career, got pregnant with her first child. How did she deal with her pregnancy and her career being at risk? 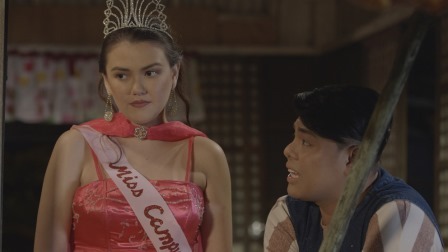 Joining this “MMK” episode are Alexa Ilacad, Sharmaine Suarez, Carlos Morales, JhaiHo, Cheska Billiones and Roy Requejo. The episode is directed by Efren Vibar and written by Arah Badayos and Mae Rose Balanay. “MMK” is led by Star Creatives COO Malou Santos.